I haven't written here in a while and I'd have rather written about something more pleasant, but the fact is, many older people struggle with constipation, and so I think yet another article on the topic might not be amiss. I've also had some bouts of constipation myself along the way when I spent days on end working without much walking, or eaten foods without regard for fiber, so my advice comes partly from personal experience. But it also comes from locally popular remedies tried out in my family. So if you're looking for natural ways to relieve constipation, I hope you will find some happy food- and exercise-based solutions in this article. They are far better than chemical laxatives, I believe, because they will keep on working, they won't give you cramps, and they will keep your colon happy in the process. Thumbnail is a composite of images found on Pixabay. NB: I am not a medical practitioner, and this is not intended as medical advice. I do not accept any liability from your following the advice on this page, as each person is different and with different medical conditions. Ask your doctor before trying any of these remedies. Senna might work for you. Depending on the specific makeup of the tablet, you may find that you simply pass a soft stool the next day, or that you experience something close to diarrhea. Which is why I recommend alternative options. Whatever you eat, make sure that each and every single day you eat enough fiber from vegetables (bell peppers are my favorite constipation aid in sandwiches) and fruit. I know that theoretically oatmeal is full of fiber, but I never rely only on oatmeal to do the job. My go-to fruit on days when I've had a lot of bread (say I had to eat two large sandwiches, for instance) is kiwi. There have been scientific studies on it, too, and they showed that kiwi is a laxative. I expect a lot of it has to do with the large quantity of vitamin C it contains. Eating two or three kiwifruit in the evening will help with your constipation -- and will also induce sleepiness. Which brings me to orange juice. If you often eat sandwiches, couple your meals with freshly squeezed orange juice. It's been proven to relieve constipation. Now, do note that I have seen no effects with orange juice out of a carton. Such juice is pasteurized, which reduces much of its vitamin C content. So vitamin C is important. Then magnesium is also a laxative. Simply dissolve an effervescent tablet in water. Magnesium is good for your heart, muscles, and brain, and if you're not taking a multivitamin and mineral complex, is a good supplement to take when you're under a lot of stress with life and work. I don't recommend using Mg all the time (but again, I'm no medical practitioner), but you can use it when you haven't had access to fresh orange juice, for instance. Given that I live in a country that doesn't produce oranges and kiwis, people in this region have long relied on another fruit: plums/prunes. 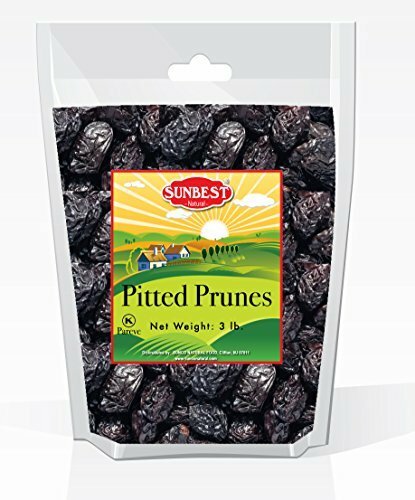 Prunes have a lot of fiber and also contain sorbitol, and are now easy to find in supermarkets. Some people leave prunes in water for twelve hours, but I find they work dried, too. If you have prunes at night, do not take more than five or six. The EU ruled in 2011 that prunes are not a laxative, but Grandma disagrees. Some people swear by pears. I don't find them to be better than apples at this, which is to say they're not very powerful. They are important, but can't fight a diet high in bread and cheese, which is what mine now looks like on some days. Supermarkets here sell these seeds in various combinations. Grind them and serve a tablespoon with two or three tablespoons of yogurt. Eat this as a separate snack, preferably as your last meal of the day. If you have chronic constipation, it's probably a good idea to eat more yogurt – but eat the natural variety, not the sweet versions. 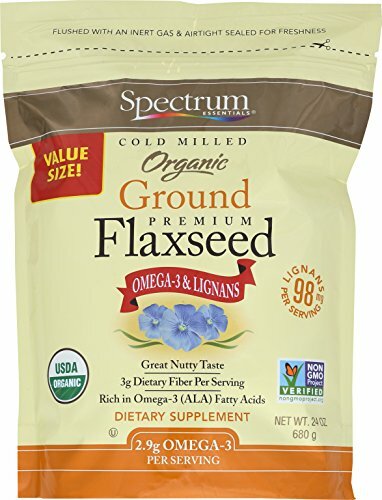 Like most vegetables and fruit and other seeds, flax seeds contain flavonoids in important amounts. 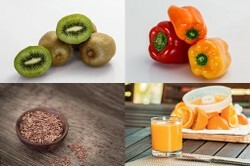 These are antioxidant nutrients that protect against many forms of cancer. But do note that you have to ingest them at dietary levels. Beware of natural supplements, such as those of flaxseed and grape seed extracts, which contain dangerous amounts of flavonoids, up to 20 times more than a high daily intake. These natural supplements could actually harm you, leading to cancers rather than preventing them. But flavonoids taken in natural form are very healthy. I found that exercises that bend your body at the waist combined with squats help bowel movements. Also, walk as long as you can every day. Walking massages and stimulates your bowels. I hope this article has helped you some! Please don't hesitate to leave a comment with other remedies for constipation that you or others close to you have found to work. Have advice you want to share? 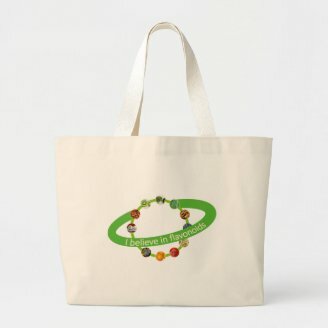 Come join us here on Wizzley and receive commissions on products you sell while sharing your knowledge and learning a lot from the community here! Thanks for this,Mira. My pink salt was a present from Sri Lanka. Purified salt has the trace elements, which include magnesium, taken out of it, and they are then sold back to us as supplements.That is why I take either rock salt or sea salt, for the magnesium and other elements are retained therein.I have recently been using a mineral rich pink rock salt from the Himalayas [ a present from a Sri Lankan in-law.] This, I believe, contributes to a more balanced diet and better health. Good advice...I never knew kiwis could be useful in that regard. While I'm usually pretty "regular" myself sometimes certain herbal supplements I take, or medications, can cause some temporary problems. (Or even I find traveling can be a culprit, throwing my regular diet or even just schedule off.) Good to know of some natural remedies to try. I find fresh figs work well too, when available. I note that you mention flavenoids. Tea is a great source of these chemicals, which are very good for cardio-vascular health. Thank you, Tolovay! Sometimes the problem arises from eating lots of sandwiches, for instance. We don't like to think about everything going on inside our bodies, yet we are our bodies with all parts which should work as a fine clock. I believe at least half health related problems could be soled with very easy solutions like eating more fibre and exercising more. Just walking several sets of steps every day should help our bowels and this is where the center of immunity is.